The very beginning of the swimming season is often the time when your pool gets the most attention. Covers are being removed and stored, water is being cleaned, and pool equipment is being turned back on and tested for any damage from last year or the long dormant winter. 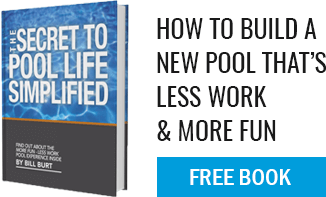 It is the perfect window of opportunity to get into the nitty gritty of your pool equipment and make some necessary repairs and upgrades before you are halfway through a hot summer. If you are like most pool owners dealing with some potentially aging pool equipment, it might be a good idea to seriously consider upgrading your pump system. Many older pools are equipped with single speed pumps that run hard all year but mostly get the job done. By upgrading to a variable speed pump, you are opening yourself up to opportunities for maintaining a cleaner pool with less impact on your pocket book. The basic difference between single and variable speed pumps is already implied in their names. Single speed pumps move water at consistent but high RPM’s, while variable speed pumps can be programmed to offer a range of speeds. Why this matters to energy efficiency is that with a variable speed pump, you can choose when and how fast the pump is working based on what your pool needs are at the time and whether or not it is running at peak energy periods. This type of control leads to much lower operating costs than a single speed pump and over time can end up paying for the new equipment through savings. While single speed pumps get the job done, they are more often than not running at much higher RPM’s than the pool requires and with a less efficient motor than a variable speed pump. This is because single speed (and even two speed) pumps use what is called an induction motor while variable speed pumps take advantage of a more modern permanent magnet motor. Unlike induction motors, permanent magnet motors are more compact, lighter weight, produce less heat and therefore less damage to their own components, and ramp up to maximum speeds more quickly with less energy demands. Overall this leads to a pump that is quieter and requires fewer repairs than the old single speed standby. The only drawback of a variable speed pump is price. Single speed pumps are simply less expensive to purchase. The equipment manufacturers estimate though that you will see a 90% energy savings between the two pump types. This means that over the long term, the variable speed is definitely more favorable. Take a look at the inventory of pumps on our online store and please give us a call for more information about pump upgrades. Now is the time to create the right pool equipment system for the summer and we are here to help!